Book by book, Dave Eggers has pushed the limit of what he has done before, and then takes one step further. His latest novel may look slim, but it represents another startling leap into new territory. Here is a tale as tightly wound as an alarm clock. Told entirely in dialogue, it takes place on a deserted military base on the California coast. Thomas, its hero, has kidnapped an astronaut, Kev, and chained him to a post. “I’m a moral man and a principled man,” Thomas assures him. On it goes. Thomas begins conversations and then cuts them short, rushing off for another hostage. He grabs an elementary school teacher; he abducts his own mother. He subdues and kidnaps a police officer. 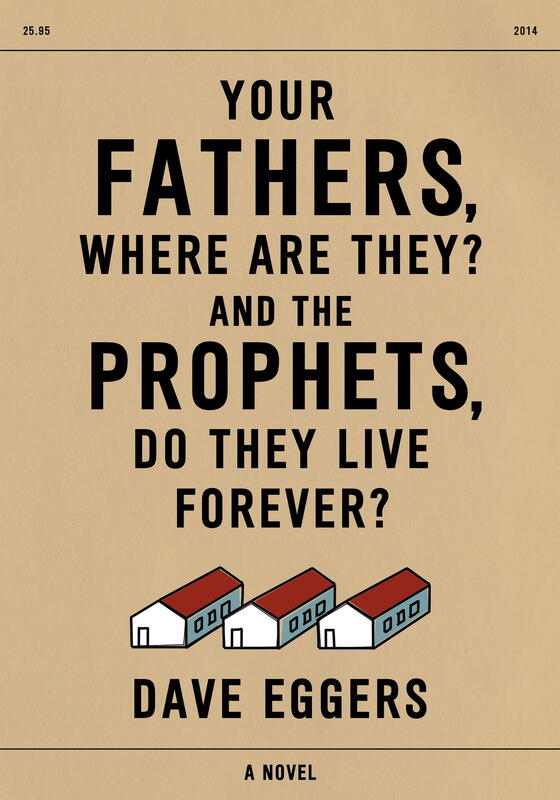 In the past five years, Eggers has begun writing screenplays and “Your Fathers” yokes the economies of that work—its reliance on dramatic thrust and human speech—to novelistic purpose here. Toggling between his captives, Thomas assembles a kind of explanation for why, as he sees it, the world has forsaken him: it has vacuumed his generation’s sky free of dreams and replaced it with satellites, or “space kites,” as Thomas calls the International Space Station. A friend of Thomas, it emerges in conversation, was shot by police officers. He wants to know why. He nabs a woman from the hospital where his friend was taken. On it goes, soaring on updrafts of hope and descending on vectors of recrimination. In previous books, from the National Book Award finalist “A Hologram for the King,” to “Zeitoun,” Eggers has written primarily about decent people. Thomas is perhaps decent, but he is definitely mentally unstable. Eggers has always been an elastic writer, but in “Your Fathers” he puts his language to the ultimate test. Thomas’ tone yaws from sincerity to creepy insinuation, capturing the abrupt shifts and feedback loops of delirium.